Speak Of The Devils: How Low Will They Go? How quick could the New Jersey Devils turn things around with last year’s Hart Trophy winner in the lineup along with next season’s possible rookie of the year? 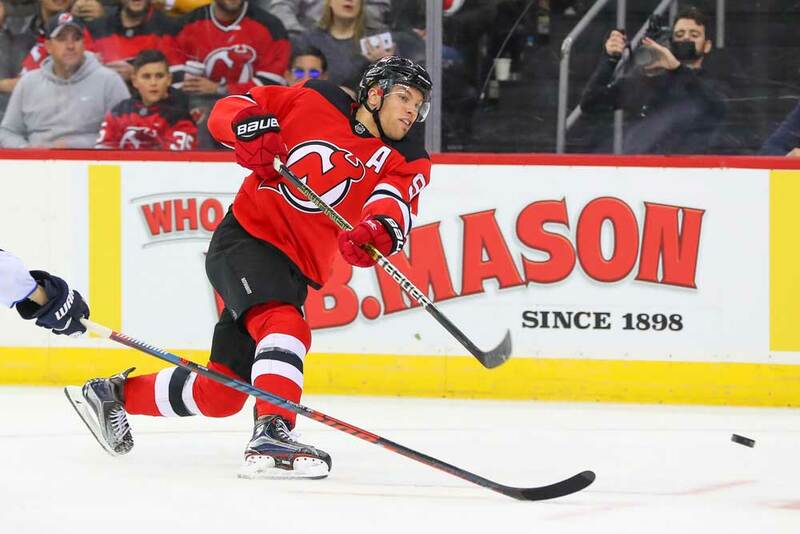 We know Taylor Hall‘s under contract for 2019/20 and the Devils also have a shot at taking top prospect Jack Hughes in this summer’s NHL Draft. Even with the league altering the rules from time to time to help eradicate tanking, the last-place team still has the greatest odds at drafting first overall. The current season appears to be something of a lost cause for New Jersey at this point with Hall sidelined and the goaltending situation being a bit of a mess. Their chances of climbing the standings to challenge for a wildcard playoff spot are quite slim indeed., especially with Hall’s scheduled return being unknown. So what exactly do the Devils do now? They’re winning the odd game here and there, but they’re legitimate contenders to finish the season in the league’s cellar. They’re also accompanied by the Los Angeles Kings, Ottawa Senators and Chicago Blackhawks in this respect. Will the team “tank” or take it easy the rest of the way or try to take as many points as possible and see their odds of winning the draft lottery dwindle? If the Devils should happen to strike oil at the Vancouver draft in June they’d be taking Hughes with the first-overall pick. They’d also have the option of trading the selection if the young forward isn’t their cup of tea for a huge return. This hypothetical situation would become a lot clearer in the next few months if Hall should happen to re-sign with the team. He’s scheduled to become an unrestricted free agent at the end of 2019/20 and is eligible to sign an extension on July 1st, which is after the draft. There’s no doubt he’s the cornerstone and face of the franchise and the Devils want to ink him to a new deal as soon as possible. If he should happen to go into next season without a contract extension it won’t bode well for the Devils. Nobody really knows what the 27-year-old Hall’s preference is. But if he stays or decides to test free agency the club could sure get back on track a lot quicker with somebody like Hughes in the lineup. If Hall decides to leave they’d have an instant replacement in Hughes and if Hall stays, the team would be able to boast two of the league’s biggest names in its lineup. There’s no guarantee Hughes would be able to step into the league as early as next season, but the past few number-one draft picks such as Connor McDavid, Auston Matthews and Rasmus Dahlin have all been NHL ready. This also includes the Devils’ own choice in 2017 when they took Swiss forward Nico Hischier with the first-overall pick. Hischier posted 20 goals and 32 assists as a rookie last season and just turned 20 years old. In fact, general manager Ray Shero has done a decent job of putting together a good young core in the swamplands as Will Butcher and Jesper Bratt also had fine rookie seasons last year and haven’t suffered from the infamous sophomore jinx. As the month of January bade us farewell Hischier had notched 13 goals and 32 points and was on pace for 23 goals and 56 points. The 20-year-old Bratt of Sweden had just four goals and 20 points, but he’d played just 35 games due to injury and the winger is still on pace for 40 points. As for Butcher, the 24-year-old American blue liner had posted two goals and 18 points and was on pace for a 30-point year. This means he’s taken a step backwards on the scoresheet since he chipped in with 44 points as a rookie. However, his overall play has picked up from last year and he’s proven to be an adequate quarterback on the power-play. But let’s take a closer look at Jesper Bratt. So far, he’s been the steal of the 2016 NHL Draft as he was taken in the sixth round by New Jersey with the 162nd overall pick. The Devils didn’t choose him for his scoring prowess since he was never really a sniper growing up and playing in Sweden. Head coach John Hynes, who recently signed a contract extension, has used Bratt in all types of game situations as well as special team units. Bratt responded well last year with 13 goals and 22 assists as a rookie while playing just over 15 minutes a night and chipped in with two game-winners and a shorthanded marker. Despite being taken so low, Bratt is currently the eighth-highest scorer to come out of the 2016 draft with his 55 points in 109 games. The Devils’ future goaltending situation appears to be bright as well with the emergence of Mackenzie Blackwood between the pipes. After a dozen NHL games the 22-year-old had a goals-against average of 2.41 along with a save percentage of 92.4 He’s 6-feet-4-inches tall and very quick and athletic. Blackwood was the 2015/16 goaltender of the year as a junior in the Ontario Hockey League as well as a First-Team All Star. Fellow Devils’ netminder Keith Kinkaid is an unrestricted free agent in July and former number one Cory Schneider has been battling injuries most of the season. Shero could put Schneider on waivers and send him to the AHL for the rest of the season, but if he doesn’t mind finishing in last place overall he may decide to play the struggling goalie and send Blackwood down. In a perfect world the Devils will be able to sign Hall to an eight-year contract, pick up Hughes in the draft and see players such as Blackwood, Bratt, Butcher and Hischier continue to develop. They also have a fine young prospect in junior defenseman Ty Smith as well as forwards Jesper Boqvist and Fabian Zetterland. This world is far from perfect though, so the Devils will have to keep their fingers crossed for some luck in the draft lottery if they finish low enough this season. And most importantly, they need to persuade Hall to sign a long-term deal.